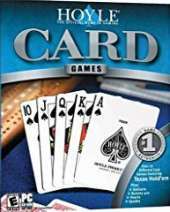 This is lively, interactive and fun gaming for the true fan of card games. Also includes Hearts, Cribbage, Old Maid, Memory Match, Go Fish, Pitch and Euchre Spades, War, Solitaire and even tarot - 18 great games in all. Features: Tutorial Mode and In-Game Strategy and rule book; 10 Interactive characters; Facemaker feature allows you to customize your very own character; Adjustable skill levels so you can start as amateur and play like a pro.